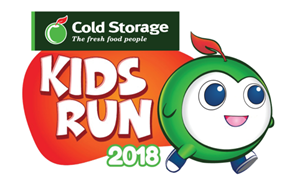 COLD STORAGE KIDS RUN 2018 - Promoting Healthy Fun This Malaysia Day Weekend! Block your calendar this Malaysia Day as Cold Storage brings you an exciting and fun way to educate your child on the importance of health and wellness through our annual Cold Storage Kids Run and Carnival. Aimed at raising awareness amongst children and adults alike, the fun run in Central Park, Bandar Utama will see participants navigating through three mini obstacles along the route before claiming their medals at the end of it! Scores of carnival-like activities are also lined up for the entire family - from games and activity booths to food trucks, as well as lucky draws, inflatables and not forgetting a very special performance from one of Malaysia’s brightest young stars. Not only that, Cold Storage is also bringing the cheer to 40 MyKasih primary school student beneficiaries from Sekolah Kebangsaan Bukit Lanjan (Asli) will be joining us in experiencing this fun-run and part of the proceeds collected from the registration fees of Cold Storage Kids Run 2018 will be donated to MyKasih Foundation - a non-profit organisation that aims to help the less fortunate in Malaysia.